Applications for designation may, in the first instance, be submitted to the Designation Committee, which will examine the same and give its views to the Supreme Court. Secretary, SCBA may be asked to act as the convener and incharge of records. 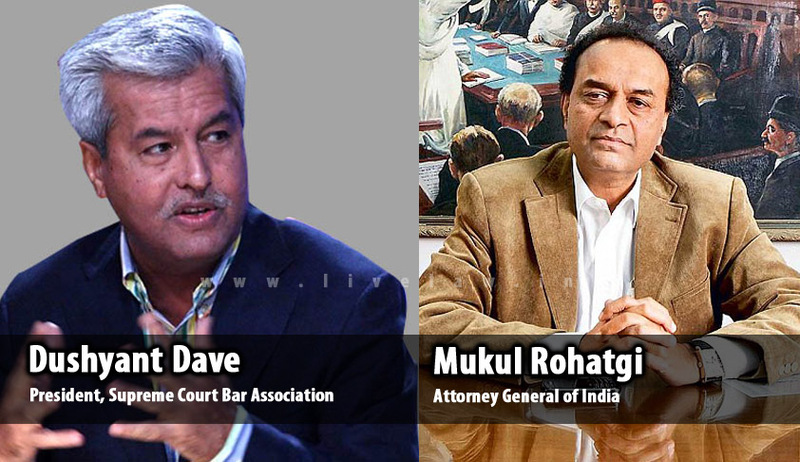 The 2 eminent senior members are to be nominated by the Attorney General for India (or Solicitor General in case the Attorney General is unavailable) in consultation with the President, Supreme Court Bar Association and President, Supreme Court Advocate on Record Association. Argued atleast 25 cases in the Supreme Court in the last 3 years. Normally, the applicant should have put in 18-20 years of practice. The Designation Committee would deliberate upon the credentials of the applicants and submit a note to the Supreme Court. The Supreme Court would be requested to deliberate upon each candidate giving due consideration to the same. 4) And it must be with the consent of the Advocate. These provisions clearly suggest that the Powers can be and ought to be exercised suo-moto and it is not necessary for an Advocate to apply. The procedure of making applications is the root cause for what is ailing the process as at present. The parameters set out in the provisions are so glaring and well known to the Chief Justice and the Judges that their task, if performed objectively, is not difficult. The present process of secret ballot by the Judges and further condition precedent to have support of minimum number of Judges for actual consideration of the application for designation by the Full Court is oppressive. To ensure objectivity it would be in the interests of the Institutions and the Bar that the chief justice and the judges informally but invariably consult the Attorney General of India and the President of the Bar. Many Judges in the Supreme Court may not have a real opportunity to observe large number of Advocates either because their tenure may be short or the Advocates do not get sufficient opportunity to appear before all of them. Informal interaction with the Attorney General of India and president of the bar can removed such short comings altogether. To my mind, no further change or amendment or procedure would be needed if the above suggestion is implemented. Non-designation of Advocates deserving designation seriously affects their practice and thus violates their Constitutional and Legal Rights. Even a few years delay can proof to be fatal. Indecently Queens’s Counsels are appointed by crown patent on the advice of the Lord Chancellor. The Rule 2(a) of Order IV of Supreme Court Rules, 1966 may therefore be suitably amended accordingly.